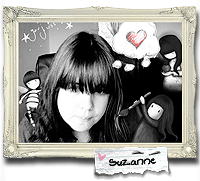 Hello everyone, It’s Suzanne here! It has been a very tough time, but the problem is I can’t say it has ended, (as I know you would ALL love to hear) Instead it is somewhat the same, I am still in a world of pain, still unable to sit, or stand or walk…but with Mr G’s help I try to make the most of every day, the best that I can! We watch a lot of TV and films, to pass the time, it’s soooo frustrating to be stuck in bed! eek! in fact I’ve just recently got into Animal Crossing, on the little handheld DS I LOVE it YAY! it’s got me totally hooked, it’s graphics are so bright and breezy it brings great joy to me playing it, and it acts as great physio too, (as well as my boring putty physio for my hand muscles!) keeping my hand & fingers moving is soo important, I need muscles in my fingers to be able to paint! 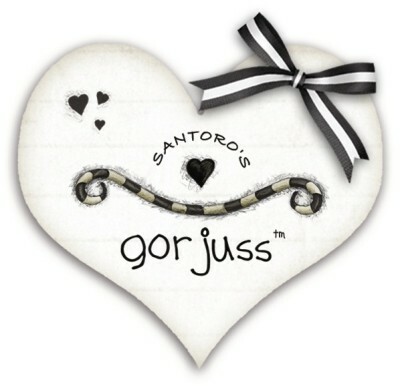 Which brings me onto…..
We’re launching this new blog, in it’s new place on the web, because we’ve handed our Gorjuss.co.uk address over to Santoro! I really wanted to use this blog to share what is happening in my life, and the things that inspire me & the Paintings, you’ll find out about Original Artworks, Fan Stuff, Press, Exhibitions and of course a GALLERY of Gorjuss Paintings again! YAY! Not every picture is up on the gallery yet, but i’m uploading them when I can, keep an eye on it for more soon! This is the most exciting part of my news to you all… I AM managing to get paintings done again, and they are STUNNING… now we have to send these to Santoro who will launch them, so no sneak peaks at the moment. 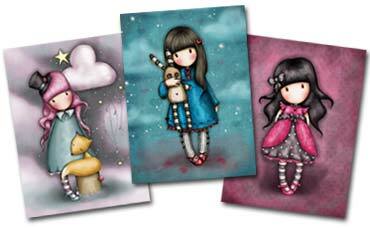 I am so thankful to Santoro for their patience, they have already released a few new paintings as blank greeting cards. Have you noticed them yet?! On the FB front too, I’ve added a Suzanne woolcoott page (aside from my profile) for you all to stay up to date with new paintings, updates, fan stuff, press, exhibitions – basically everything I share here, but you may find it easier to comment and share OR just like it showing up in your updates! Well that is all for now… THANK YOU For taking time to read this and I am so happy I am able to do this again. Yay – a blog post at last!!! TADA! Again thank you all for your continued support ! P.S PLEASE Let me know if you are a fellow (Animal Crossing) New Leafer and what your town looks like or code share if you like! Hello Suzanne! 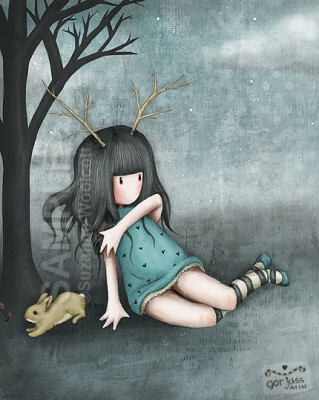 I’m a huge fan from Brazil and I would like to know if you have some representative here once the Santoro’s shipping costs are to high. Sendind you all my love from Arizona, USA.